For 45 years, Envirotec has led the way in custom air curtain designs that complement the unique features of entrance doorways. Working with architects, consultants and end-users, we design and make air curtains to the agreed specification. Envirotec custom air curtains incorporate innovative designs, attractive shapes and a variety of paint and metal finishes. Envirotec supplies many custom Air Curtains to operate with revolving entrance doors. Working closely with the door manufacturers, Envirotec custom Air Curtains are built into the entrance structure. 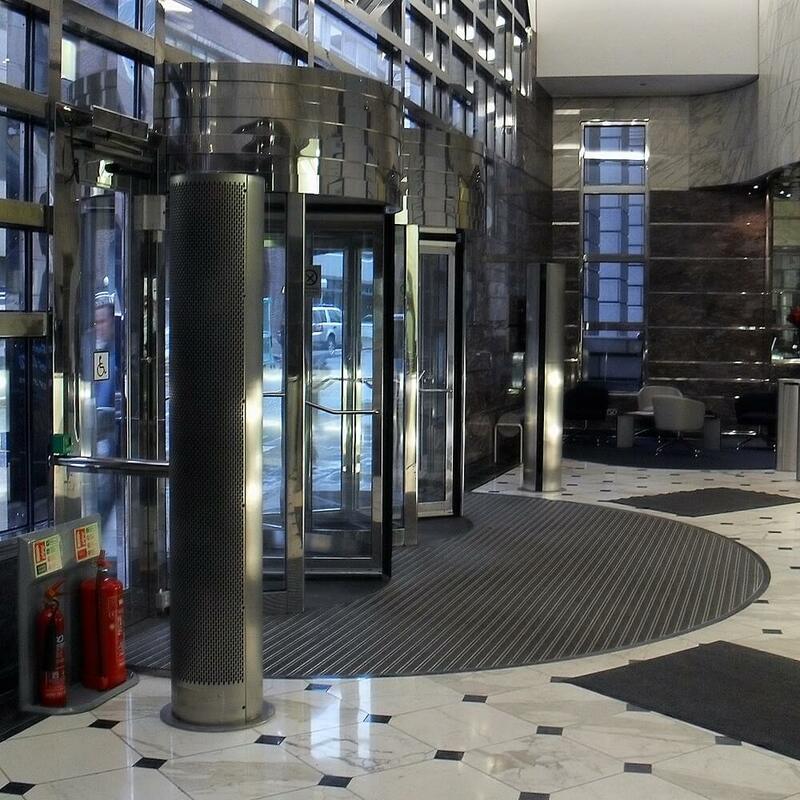 The Air Curtains are fitted with bespoke grilles that will match the circumference of the revolving door. There are additional options – Air Curtains mounted above the door in a style to compliment the entrance or vertical Air Curtains installed either side of the entrance.